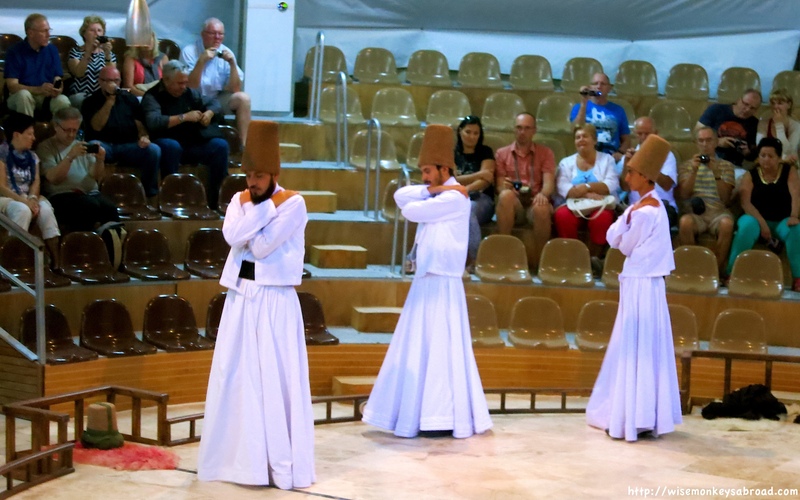 Firstly, we had no idea what whirling dervishes were before going to Turkey. Secondly, when we were asked if we were interested to attend one while we were in Pamukkale, Turkey. We said yes thinking that it would be an evening of entertainment because the word “whirling” conjures up images of dancing and spinning around. So we were right about the spinning but not right about anything else. A prayer for peace of the souls of all Prophet and believers. Being a religious ceremony, it is respectful not to take photographs during the cermony. The photos we took were after the ceremony when the dervishes performed specifically for photos. 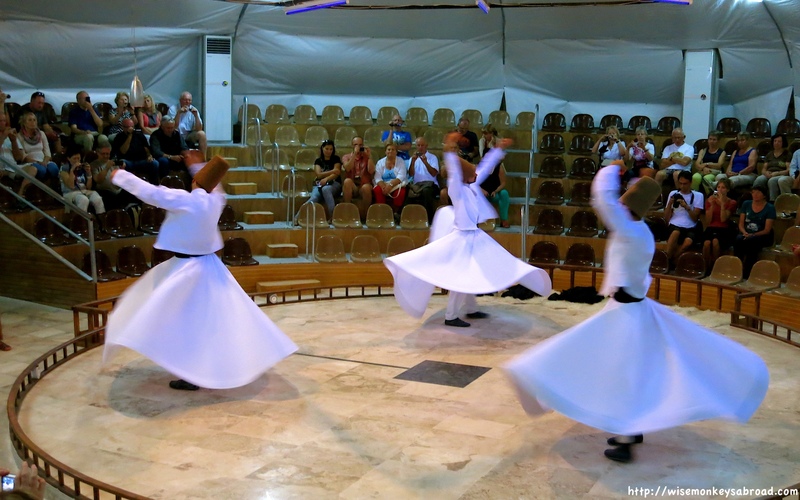 Attending a whirling dervish ceremony is not for everyone. We do recommend that it is worth understanding the purpose before experiencing the holy ceremony. It will help with a greater appreciation for what is being performed. Be aware that the ceremony takes approximately 60 minutes and most of it is performed with little lighting. We certainly enjoyed the opportunity to witness the ceremony and found it quite mesmerising, peaceful and spiritual. Watching the dervishes the entire time made us dizzy occasionally – closing our eyes and just listening to the music was enchanting in itself. The music accompanying the ceremony was ever so soothing for the soul! 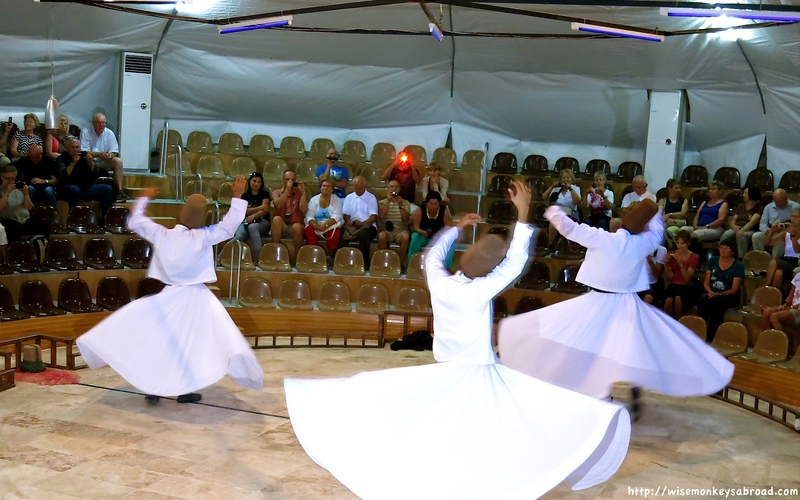 This entry was posted in Turkey, Turkey and tagged cultural experience, culture, Pamukkale, religious ceremony, Turkey, whirling dervish, whirling dervishes.